This article explains how to separate transaction numbers from MLS IDs for use in Transaction Logs mandated by state regulations. Arizona brokers are required to keep a log of all rental, listing, and sale transactions. Each transaction must be given a unique transaction number by the brokerage. Sometimes transactions have multiple numbers. If a company has a listing, the listing will have a transaction #. Then when it goes into contract, it must be assigned another transaction #. Since Pipeline only includes one transaction # field, brokers may have to input multiple transaction #'s into that single field. If multiple numbers separated by a forward slash (/) are entered into the "MLS or Transaction Number" field (e.g., 282773/L072399/P0237779), Pipeline will smartly present them in separate columns on the downloadable spreadsheet of transactions. 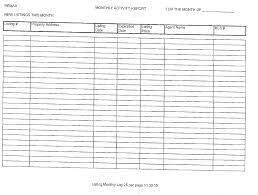 You can then sort and organize the spreadsheet for use as the company's Transaction Log.